From the fashion catwalks, to young people graduating from schools and colleges embracing the vibrant prints to bring a sense of style and individuality to the more mundane prom outfits, African fashion prints seem to be the current by-word in fashion. 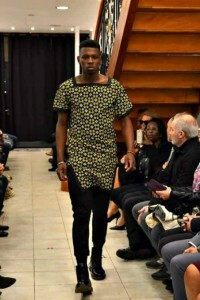 African designers of course know that this is not just for a season or the moment and increasingly more and more exciting designers from Africa and the diaspora are making a name for themselves and continuing the tradition of creating exciting clothes for men and women of all shapes and sizes. 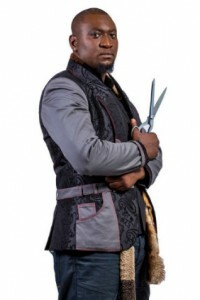 One such designer is Ayissi nga Joseph Marie (aka JJ STYLE), a French-Cameroonian designer, creator of Wazal Couture. From a very young age, Ayissi knew that he wanted to be a couturier like his father. He followed his passion and was formally trained at the Vanessa Ruiz fashion school. 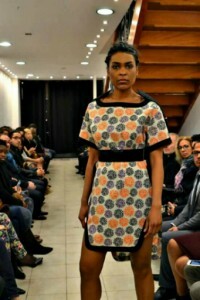 His design inspiration comes from Africa and creates wonderful pieces using fabrics from Cameroon, Senegal, Mali, Ghana and Nigeria and feels honoured to be showcasing the beauty of these fabrics. Starting his business has not been easy “ I had trouble finding commercial manufacturers to market my products but I could not give up” he says, however thanks to the internet, he was able to launch his first collection in 2005 on his website www.wazalshop.com. Fast forward to 2016 and his designs are now available to ship internationally. Asked if there was one celebrity that he would like to see wearing his clothes, without hesitation he replies “it would be the rapper, P.Diddy, someone who has inspired me since childhood”. 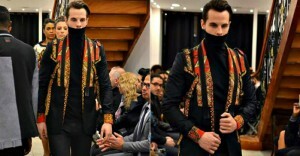 Well P Diddy now you know – this young French-Cameroonian designer is hoping to bring his style to your wardrobe and AfricanPostmark wish him the very best.